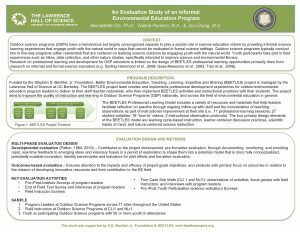 Evaluation for the BEETLES project is completed by The Research and Impact Group at the Lawrence Hall of Science. Currently, the Research and Impact Group of the Lawrence Hall of Science is conducting a five-year research study. The research team will examine the implementation and efficacy of the BEETLES program and the field of outdoor science at large. In the implementation study, the team will investigate the instructional practices in outdoor science programs and the role of BEETLES materials and resources in supporting high-quality learning experiences. In the efficacy study, the team will investigate the impacts of outdoor science programs on students’ STEM Activation (a composition of dispositions, skills, and knowledge) and environmental literacy. Research findings will contribute to the field by providing evidence of the impact of BEETLES in the environmental education field and the impact of outdoor science programs on youth science learning. Rena Dorph, Ph.D., is the Principal Investigator of the BEETLES research study. Currently the Interim Director of the Lawrence Hall of Science, Rena served as the Director of the Research Group (now Research & Impact Group) for 13 years. Rena has worked in the field of educational research and evaluation for over 20 years exploring the relationship between learning experiences and outcomes, paying consistent attention to issues of equity, access, and impact. Rena received a B.A. in Psychology from the University of California, Davis; an M.A. in the Sociology of Education from Teachers College at Columbia University; and a Ph.D. in Educational Policy, Organization, Measurement, and Evaluation from the University of California, Berkeley’s Graduate School of Education. 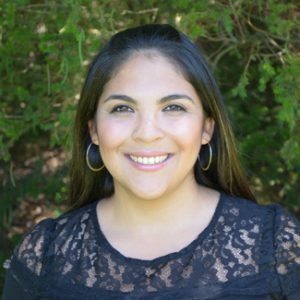 Valeria Romero, M.A., is an Associate Research and Evaluation Specialist at The Research Group and co-leads research and evaluation for the BEETLES project. 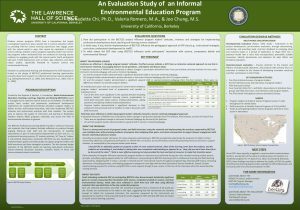 Ms. Romero supports a variety of research and evaluation projects related to science professional development initiatives and programs aimed to increase underrepresented minority students in science disciplines. Valeria received her master’s degree in educational leadership from Mills College. Melissa Collins, Ph.D., is co-leading the BEETLES research activities. As a Research Specialist in the Research & Impact Group at the Lawrence Hall of Science, she contributes to a range of research and evaluation projects related to STEM education, teacher professional development, and out-of-school learning. 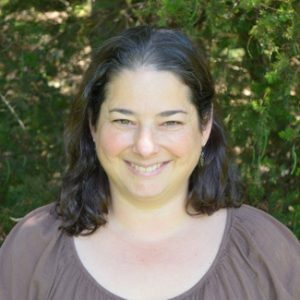 She has over ten years of experience in educational research and evaluation in a variety of contexts and content areas, including early math and literacy, K-12 assessment, and social development for children with disabilities. She received her B.A. in Psychology from Harvard College and her Ph.D. in Applied Developmental and Educational Psychology from Boston College, where she conducted research on the foundational skills and concepts of early mathematics and the factors predicting kindergarten readiness for children from diverse socioeconomic backgrounds. Mac Cannady, Ph.D., is the quantitative lead on the BEETLES research study. As the Director of Quantitative Studies for the Research & Impact Group at the Lawrence Hall of Science, Mac provides research design and statistical analysis expertise to several projects. His work aims to improve the internal validity and enhance the effectiveness of quantitative research and evaluation projects. Currently, his work includes investigating pathways and barriers to science, technology, engineering, and mathematics (STEM) careers, analyzing the effectiveness of professional development programs, and reviewing research on teacher education. He taught physics to high school students for several years after earning a bachelor’s degree in engineering physics from Santa Clara University. 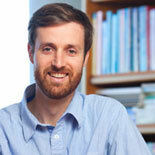 Mac received his doctorate in educational research, measurement, and evaluation from Boston College. 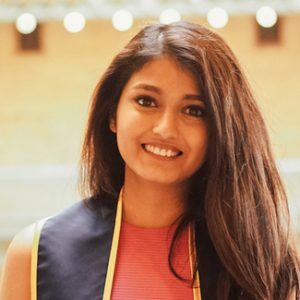 Aparajita Pande, B.A., is a Research Assistant for the Research and Impact Group at the Lawrence Hall of Science and will be assisting in the BEETLES research activities. 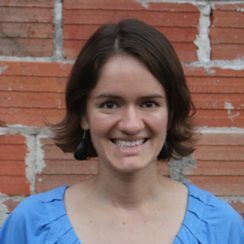 She supports research design, data collection, data analysis, evaluation and reporting for a variety of projects in the Research and Impact Group. Prior to joining the the Lawrence Hall of Science, Aparajita received her bachelor’s degree in Political Science and Sociology from the University of California, Berkeley. 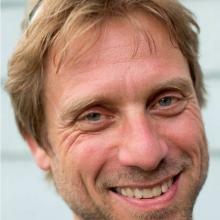 Martin Storksdieck, Ph.D., is the Director of the Center for Research on Lifelong STEM at Oregon State University. Prior to his current role, Dr. Storksdieck served as the Director of the Board on Science Education (BOSE) at the National Research Council (NRC) of the National Academy of Sciences. His prior research focused on what and how we learn when we do so voluntarily, and how learning is connected to our behaviors, identities and beliefs. This includes the role of personal perspectives in science learning, particularly related to controversial topics such as climate change or evolution, and how connections between school-based and out-of-school learning can create and sustain lifelong interest in science, but also learning itself. He holds an M.S. in biology from the Albert-Ludwigs University in Freiburg, Germany; an M.P.A. from Harvard University’s Kennedy School of Government; and a Ph.D. in education from Leuphana University in Lüneburg, Germany. Storksdieck also directs NRC’s Roundtable on Climate Change Education.